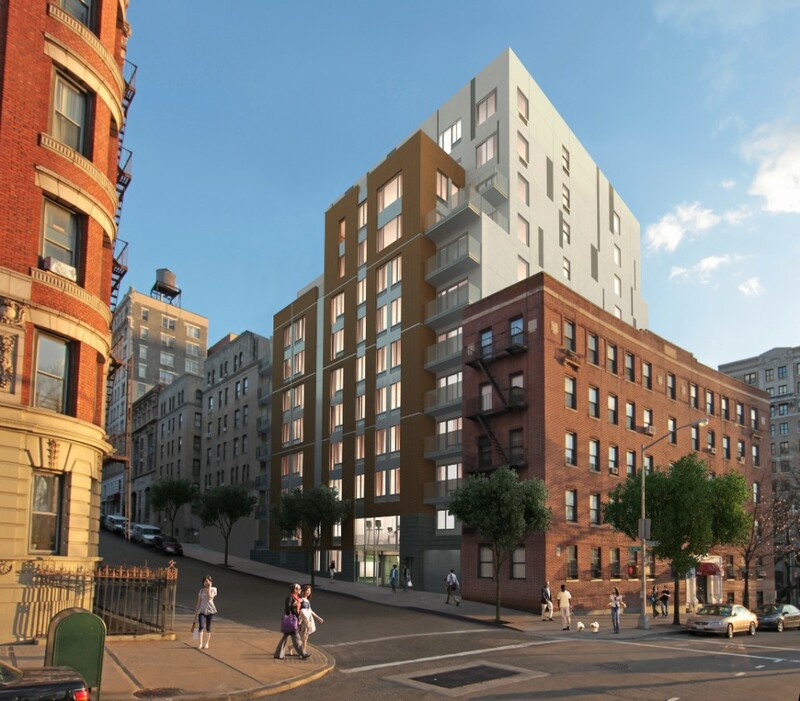 New rental apartment building on a steeply sloped site with underground parking and complex zoning in Upper Manhattan. After completion of construction documents, the real estate market forced a change from condominiums to rentals, with a correspondingly smaller construction budget. 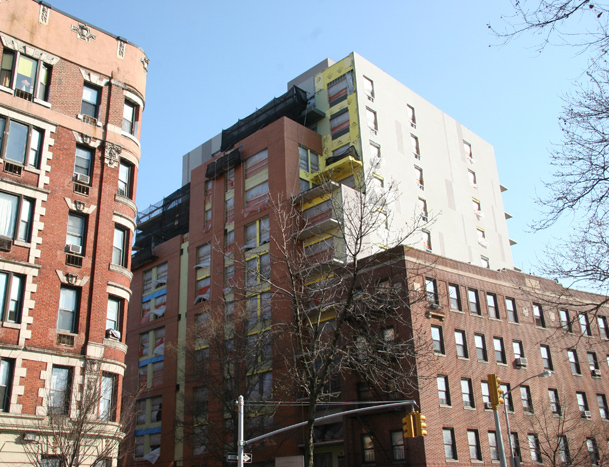 Gregory Duncan managed the project’s transition for Jeffrey Cole Architects, working with the principal to redesign the facade. Our challenge was to do this without changing the plans for the block-and-plank structure. In addition we were able to increase the number of studio apartments per the owner’s request. Rendering by Alan Silverman. Photos by Gregory Duncan. Email greg@duncanarchitectpllc.com for more information about multifamily buildings.